Wow, you have an impressive set of credentials, and I'm thrilled to have the opportunity to ask you some questions today. I see on your client list that you have well-established YA authors like Ellen Hopkins as well as debut YA authors like Holly Thompson, my colleague in Tokyo. Are there things you do differently in your work with emerging clients and already established clients? I enjoy working with authors at both ends of the spectrum and do represent well-established YA authors like Ellen Hopkins and talented debut YA authors like Holly Thompson, who is my colleague Jamie Weiss Chilton's client. There are things that I do differently depending on where the author is in her or his career. With emerging clients, I tend to do a lot of hands-on editorial work; we may go through several rounds of revision before a work goes out. In planning my submission strategy, I think carefully about where the author is likely to get the most nurturing and support. I'm ideally looking for editors whom I know are very strong editorially (yes, I'm afraid all editors are not equal in this regard), who tend to be more hands-on, and who, by temperament, taste, and working habits, I believe will be a good fit and communicator with my client. Of course, I want the editor who I believe will be most passionate about the project. I also give consideration to whether, at a particular imprint within a particular house, there is real space for the author to grow. For already established clients, I am typically working to strengthen their position within an existing house--assuming of course that we're happy with the publisher. Certainly, I want to negotiate for the best deal terms possible and, ideally, want the terms to improve for each book. There may also be aspects of the relationship that we want to change. I focus on commanding more marketing and sales support, and work to guarantee the author will be an active partner in key marketing and production decisions. I'm looking for tangible commitments that will help move the author to the next level of her career. If we're not happy with the existing publisher, then I'm thinking about the same things but also casting the net more widely and focusing on finding a house and imprint that has real space for my author to grow, that will publish her smarter and with more support, with the backing of an editor usually further along in her or his career, who will be a passionate champion and advocate. In a previous interview with CBI Clubhouse, you mentioned the concept of “highly illustrated books for young readers.” Can you tell us more about this emerging new category, and do you continue to see this as a developing genre? A one-size-fits-all approach to developing readers seems problematic. I think there is a gap between picture books and chapter books and see the new category of highly illustrated books for young readers as helping to fill this space. These highly illustrated books for young readers have different proportions of text to art, but the commonality is that they allow developing readers to more fully experience and understand a story by providing illustrations that work in conjunction with the text. The form frees authors to tell a more engaging and compelling story because there are illustrations to foster understanding. Additionally, I also happen to believe readers of all ages have an appetite for stories told in compelling ways with both text and images. You have a new book of your own coming out in Spring 2011 called, Emma, The Extra-Ordinary Princess. Does this book fall into the highly illustrated books for young readers category, and if so, when you write a chapter book that you intend to be highly illustrated, how does that affect the way you write the story? Emma, The Extra-Ordinary Princess, forthcoming Spring 2011 with Dutton, is a highly illustrated book for young readers. As with picture books, while I was writing it, I had in my mind the fact that I needed to leave room for the art. As I worked on the story, I thought about the action and dramatic scenes in a more cinematic way, trying to imagine how they might work in the art. Again, it's the balancing act of leaving room for the illustrator while giving enough of a framework to create character and set dramatic events in motion. I think about finding the key telling detail that may speak volumes about the character or the physical environment but don't write in a lot of description or scene-setting since this will be the work of the art. 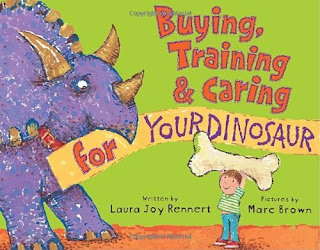 In addition to Emma, you recently published your first picture book for young readers called Buying, Training & Caring for Your Dinosaur, illustrated by Marc Brown (Random House, 2009). I love the title! What were your experiences being on the author-side of publication, and what’s been most exciting about your entrance into this new domain? I'm glad you like the title--thanks! I have a good picture of both sides because my husband is an author himself (Barry Eisler--he writes political thrillers) and also because I do work so closely with many of the authors I represent. However, it was still an illuminating experience for me to see how things work from the author-side of publication. I have a new-found respect for authors because now I know, first-hand, what it feels like to wait for reviews and to hold your breath as you try to gauge a book's reception. The suspense! I also am extremely hands-on as an agent, which serves me well on this front, but I realize now how much is not in the control of the author when it comes to the publishing process and the marketing of a book. In terms of the most exciting things for me, I got to work with an editor I adore and respect, Michelle Frey at Knopf, and it's been a joy to get to see how she works from the perspective of actually being one of her authors. I also have found it intensely exciting and invigorating to do book signings, school visits, and even a presentation I gave at the New York American Museum of Natural History, where about 400 girls slept over. (I gave my talk in pajamas at 11 a.m. at night.) I love connecting with kids over my book and our shared love of pets and dinosaurs. Kids are so open and responsive at the picture book age. What a high! Okay, now back to some agent-related questions! When writers are seeking agent representation, how would you suggest they best represent their work to an agent? Is a query letter with a sample manuscript enough? Our website, www.andreabrownlit.com, gives specific guidelines for how we accept submissions. We accept only e-queries, and I do think that a strong and polished query letter with a compelling sample of the writing (we ask for the first 10 pages initially or a full picture book manuscript) is enough to get our attention. To me, the best query letters convey the following--what makes the work special, what space in the market it occupies, what credentials you bring to the table that are relevant for your book. An irresistible 10 pages that raise burning questions in my mind, then seal the deal by compelling me to ask for more. In the case of a picture book writer who may already have several manuscripts to submit, should they only select one to send to an agent, or do agents like to see the broader scope of a potential client’s writing? I advise leading with your strongest picture book, and perhaps mentioning one of the other ones about which you feel most strongly. With picture books, in particular, there is a tendency toward cherry-picking. If we see something we love, and then see one or two more that leave us lukewarm, we may pass. What would you say are some of the biggest challenges you encounter in selecting new clients? The biggest challenge is the volume of material that comes in. Many times, we see work that is good, that is maybe even publishable, but for me to take something on, I have to be absolutely passionate about it and also believe that the author has other amazing books in her or him. Another challenge is that the author must be able to revise. Some authors may come in with something strong, but if they can't revise or aren't open to editorial feedback, then I'm not going to offer representation to them. Also in the interview with CBI Clubhouse you spoke a lot about authors; use of emerging technologies to market themselves and their books. How does a web presence and online expertise help a writer in today’s market, and more specifically, from an agent’s point of view, is online presence something you look at when evaluating a potential new client? It is a truth of the market and the economy that publishers are doing less than probably ever before to promote authors, sometimes even when they spend considerable money acquiring a book. For this reason, the job of publicizing the book and getting the word out falls to the author. A web presence is important for all authors since this is a key tool in publicity and marketing. This is especially true for middle-grade and young adult fiction since the readers for these categories are online and so computer savvy. Social networking presents an incredible opportunity for writers to connect to their audience and to publicize and market their books at minimal cost, apart from the time and energy commitment. I do look for an online presence when evaluating potential clients although it isn't a requirement. For middle grade and especially young adult fiction, I think it is something that can mean the different between an average deal and an amazing one. What are some of the more effective and impressive online strategies you’ve seen? I've seen some of my authors blog in incredibly smart ways--conveying their charm and personality, while providing great content in a truly entertaining, unusual, and fun package. Many of my authors use social media like Twitter and facebook to network in smart, innovative ways that lead to growing a readership for their blogs, to repeat visits to their websites, and to recognition in the writing community and sometimes really important blurbs from big authors in their space. One of your authors, Maggie Stiefvater who authored Shiver (Scholastic, 2009), has made an impact doing blog tours. Can you explain more about what that is and share how you think her efforts affected the response of readers to her book's debut? A blog tour is when an author does guest blogs on other sites. Again, the key here is doing the research to figure out which blogs are widely read, which focus on your target audience, and which are likely to be receptive to you guest blogging. Then reverse engineer your approach. Come up with an angle or topic for a guest blog that is going to give value, interest the host blogger, and appeal to readers. The great thing about blog tours is you can do this at little financial cost. (There is of course a significant time commitment.) You can reach a wide and diverse audience, and you can do this both within the smaller window around publication and make it an ongoing part of your campaign. It's a great way to get the word out about your book and also to start to build name recognition and a brand for yourself as an author. It's smart viral marketing, since those who read book or publishing blogs care about books--they'll pass along the word about you elsewhere. I think Maggie's incredibly smart blog tours and savvy online campaign have had a big impact on sales. They've helped build her as a brand and also helped recruit her publisher, who sees what a great investment she is and a great partner. Lastly, if you could write a recipe for the next “breakout” book in terms of commercial success and/or literary acclaim, what are some of the ingredients you think it would surely need to have? To me, books that break out this way are both literary and commercial. When I think about whether a book is strong enough to go into auction, I consider what commercial space it occupies in the market. I'm looking for something in an existing and lucrative space, but that also feels fresh and different enough from the big books that are already out there. I believe key elements to a breakout book are a strong, original voice; a unique, fresh perspective or angle; a compelling, page-turning, riveting narrative structure/plot; and emotional power. It also helps if there's something special about the author -- if there's a story behind the story, or if the author has already shown that he or she can garner a certain kind of visibility. Update: Laura is now unable to attention the 2010 SCBWI Bologna conference, however, she has been rescheduled to participate on the 2012 SCBWI Bologna conference faculty. Jenny Desmond Walters is the founding regional advisor of the SCBWI Korea chapter. She is an experienced education professional with a love of learning and literature. 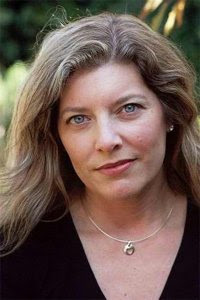 She has worked in public television developing curriculum and promoting instructional programs, as well as worked extensively with educational publishers and learning materials companies. For the last several years, Jenny has lived in east Asia where she has become an avid writer and observer of life in Japan and Korea. Her articles have been published in national children's magazines and writing journals, and she has been a member of SCBWI for more than 10 years. Jenny currently resides in Seoul with her husband and three daughters, and she rarely runs out of interesting stories to write. The SCBWI Bologna 2010 interview series is brought to you by the SCBWI Bologna Biennial Conference in conjunction with Cynsations. To register, visit the SCBWI Bologna Biennial Conference 2010. Note: Special thanks to Angela Cerrito for coordinating this series with SCBWI Bologna and Cynsations.